Zero To Here Podcast – Inside Scoop with the G+D Real Estate Team! As we all know our very own Denny Dumas started his Zero to Here podcast late last year and the G+D Team has finally made an appearance! 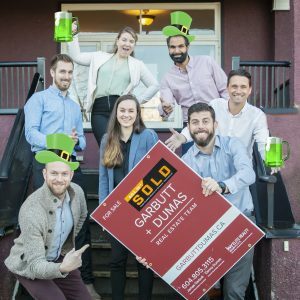 Monica Harmse, Shawn Kambo, Lucas Mccann and Adam Senuik talk about the current real estate market in Vancouver and what may be coming up in the Spring! Adam and Shawn are back hosting another Real Estate Seminar. This event will be held on April 4th at Old Crow Coffee Co in New West from 7:00-8:00 pm and we will have coffee/tea available for all attendees! At this Seminar, we are going to be having a general open conversation where we can address any and all of your questions! Eventually we will take you through a 5-10 minute presentation to show you the current state of the market for seller/buyers, but overall, we want to achieve an open discussion to make sure that you get all of your questions covered and have you leave with the knowledge/education that you came for. This event is open to all types including those who’s next transaction will happen right away or in the future. This will be beneficial for both buyers and sellers and we will provide information on both condos and homes. RSVP is required for the event so that we can plan accordingly. Send us a message on social media, an email to info@gdrealestate.ca, or sign up on eventbrite to let us know that you’re attending and who you’re bringing, and we’ll save you a spot! Limited tickets available! SIGN UP HERE! James Garbutt interviews our team member Shawn Kambo. Shawn does our bi-weekly blog “Shawn’s Deals of The Week“, is an investment expert and the most educated on our team! Watch the video below to learn more about him. Vancouver, BC is one of the most beautiful places to live in Canada, but it comes at a high price. The average price for Vancouver Real Estate in 2019 is $1,019,600, which is 4.5% lower compared to 2018. It is expensive to own a home in Vancouver, but it is also expensive to rent. The average 1 bedroom apartment price increased by 6.5% from 2018, which is the second highest rental price in Canada, right below Toronto. Burnaby ‘s 1 bedroom rentals increased by 9.8%, which is the third highest in Canada. House size: 2,417 Sq Ft.
House size: 1,777 Sq Ft. Hold for now, build later. House size: 2,054 Sq Ft.
House size: 2,656 Sq Ft. Location: Close to John Henderson Elementary School, parks and shopping. Lot size is above the standard Vancouver 4,026 Sq. Ft.
House size: 2,216 Sq Ft.
Current condition of the home is excellent. POT OF GOLD GRAND PRIZE VALUED AT $200, plus more prizes to be won!! 1) Take a photo of your BEST ST. PATRICKS DAY DRINK and/or BEST ST. PATRICK’S DAY ATTIRE! OVERALL BEST WINS THE POT OF GOLD! The winners will be announced on Monday, March 18th! May the luck of the Irish be with ye! 🍀 Want to increase your luck? James Garbutt and Denny Dumas explain everything you should know about oil tanks when purchasing real estate. James Garbutt and Denny Dumas talk about what costs you can expect when closing a real estate purchase in BC. 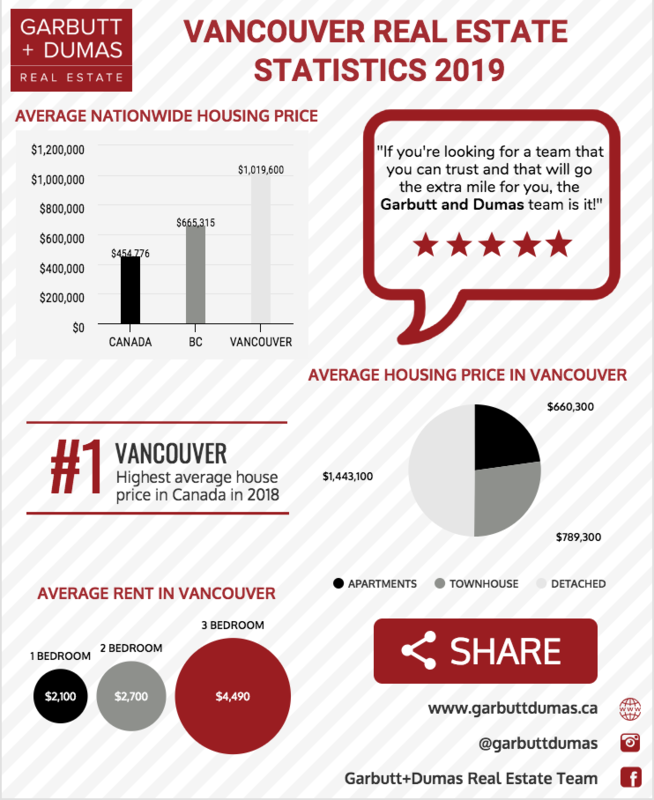 James Garbutt and Denny Dumas talk about what you need to know when purchasing or selling real estate assignments in BC. 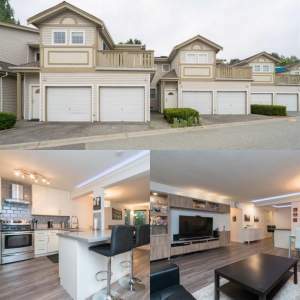 1328 Brunette Ave., unit 2, Coquitlam, B.C. The unit is in a complex built in 1988, located near public transit. When the newlywed couple that purchased the unit walked through the door, they knew they wanted it, buyer’s agent Adam Senuik said. But their pre-approved mortgage was only $515,000. Mr. Senuik knew the condo had been on the market for two months at that time and had been reduced from $618,000. After three counter offers, the couple went back to the mortgage broker and came up with pre-approval of $525,000. The 1,158 square-foot one-level townhouse has been fully renovated, with laminate floors, carpeted bedrooms and crown moulding, fireplace, quartz counters, heated bathroom floors and soaker tub. The complex was built in 1988 and is near transit and shops. Prices started dropping in the fall of 2018, Mr. Senuik says. “Vancouver’s property buyers are winning in a shifted market,” he says. “We have seen a lot of listings on the market much longer than the year previous.” In 2017, he’d see multiple offers drive the closing price above the asking price. It’s a different market today. House size: 1,739 Sq Ft.
House size: 1,892 Sq Ft.
House size: 2,800 Sq Ft. Advice: This is a great property if you have the ability to invest at this price point.